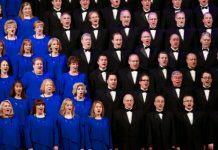 Multiple videos circulating YouTube shows The Mormon Tabernacle Choir singing the University of Utah’s fight song. 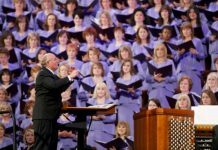 According to Joe Manz’s video description on YouTube and other tweets from fans, ESPN will broadcast the performance during the Utah Utes’ football game on Saturday. Kick-off for the Utes game against the California Golden Bears is scheduled for 8 p.m.